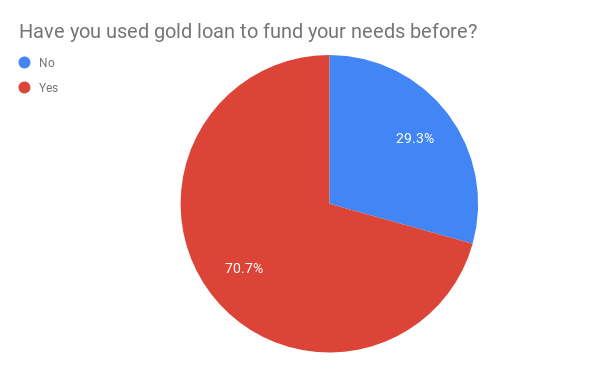 Majority of the people (57.1%) who participated in the survey had used gold loans for emergency needs, there is no surprise there. 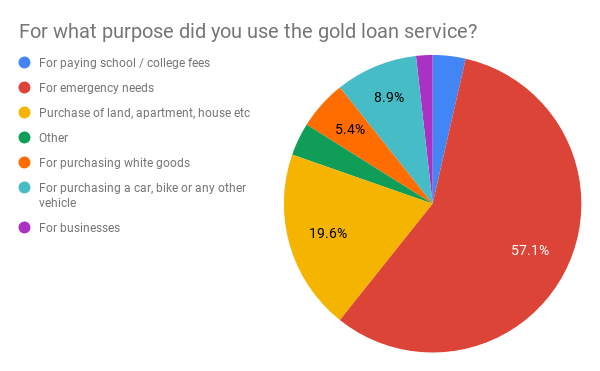 19.6% of participants used gold loans to buy land, house, apartment or related needs. 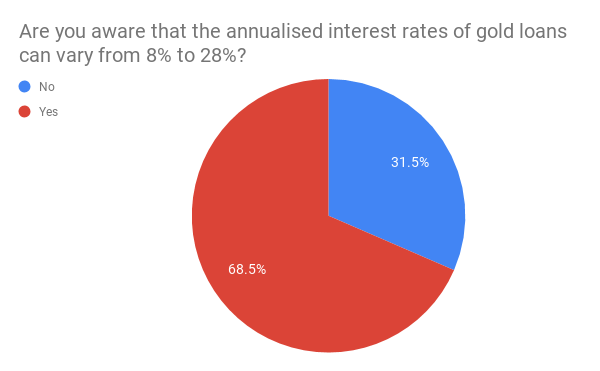 The third use case at 8.9% is funding for the purchase of vehicles. These three use cases are what we expected to see. 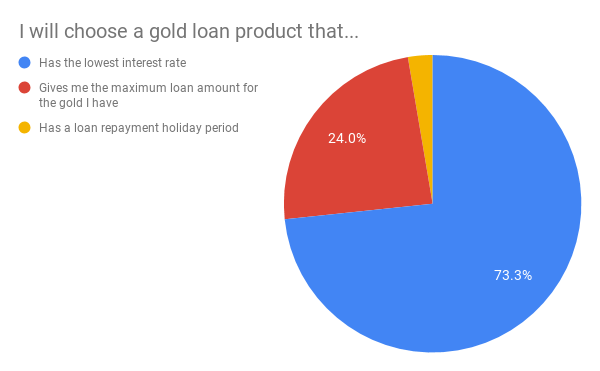 The surprising finding is that 5.4% of the participants have used gold loans to purchase white goods such as television, refrigerator, air conditioners, washing machine etc. We have always thought that gold ornaments have sentimental values attached to them which prevented people from pawning the ornaments to buy non-essential items. Maybe this is a sign of changing mindset of the young generation.